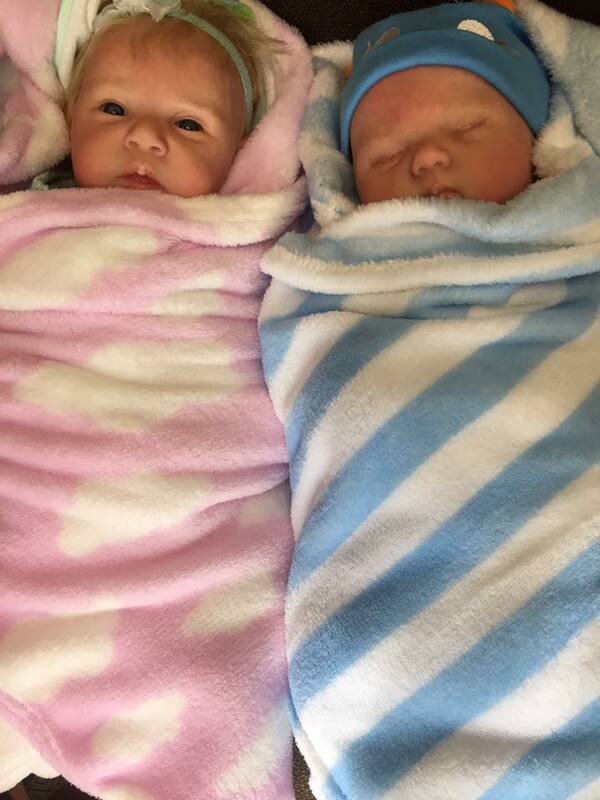 Tiffany Village Retirement Living Residence is proud to announce the start of our new “Cuddle Therapy” sessions and the arrival of baby Tiffany and baby Kenny. This Therapy has also been termed as “Love and Comfort Therapy”, “Doll Therapy”, as well as “Alternative Human Connection” and has immense benefits for those living with Alzheimer’s or Dementia. Boredom and loneliness are two of the main reasons for responsive behaviors in dementia usually due to unmet needs. Our new dolls will help in fulfilling those needs by giving the residents a chance to love and nurture to their full capacity. The main goal and emphasis of this program is on helping all of our residence to meet their individual needs for connection, meaning, purpose, attachment, nurturing and love. Each resident interested in our program will have the chance to hold, nurture and love the doll. Tiffany and Kenny will give residents the opportunity to put responsibility and structure back into their lives and decrease any stress and agitation they may be experiencing. The “Cuddle Therapy” sessions start will be a great addition to our assisted living residence and will overall improve the wellness of their lives here at Tiffany Village as well as Kenny’s Pond Retirement Living. For more information, please contact the Social Wellness Department. On February 4, 2014 I had the pleasure of spending a couple of hours with my grandmother at Tiffany Village. We were entertained by the Walsh Brothers and they were fabulous. While I enjoyed the evening immensely, I was overwhelmed by the compassion and caring I witnessed shown by the staff who so respectfully cared for the residents. The staff was genuinely interested in ensuring everyone had a great time. It is beautiful to see my grandmother enjoying her golden years with dignity and grace. Thank you!